Stick to what you know! Grilling for a crowd, even if it’s just friends and family probably isn’t the best time to try out a new recipe or unfamiliar technique. Make something you’re comfortable with and minimize the chances for surprises and disasters. 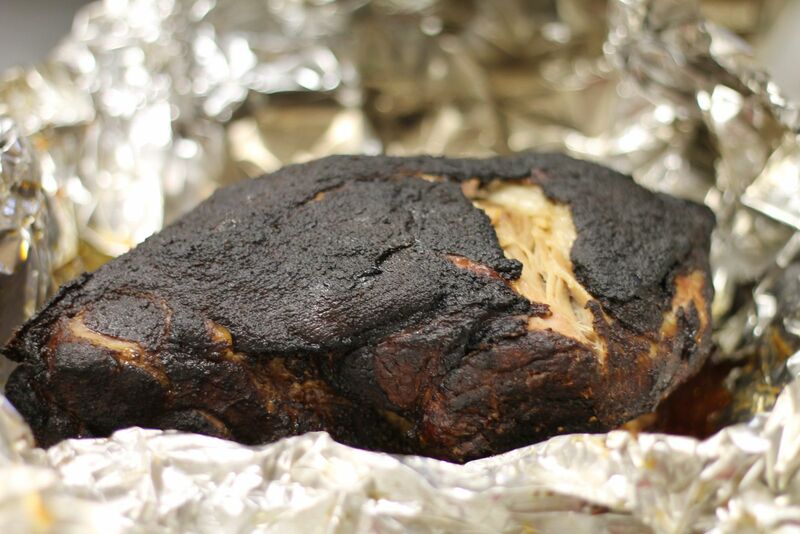 I make pulled pork all the time so I know exactly how long it’s going to take and how many people it will feed. It’s also an inexpensive cut of meat that easily feeds a large crowd. Win-win! 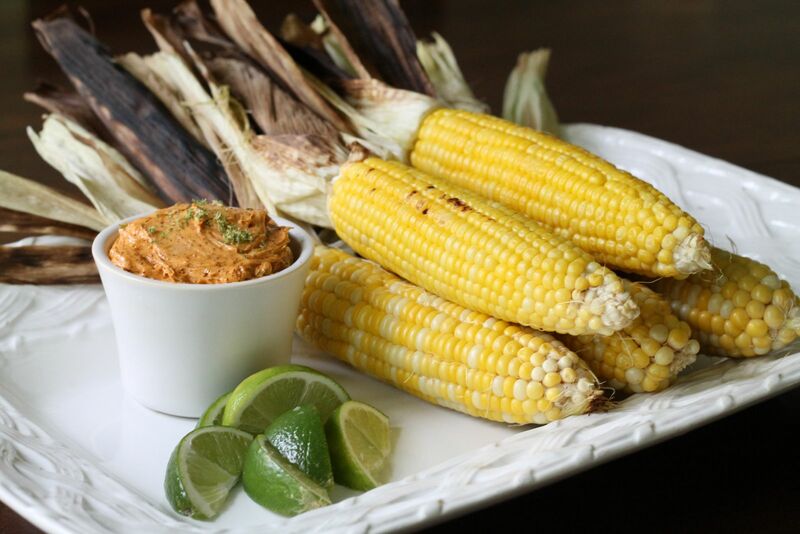 Grilled corn on the cob is an easy side dish for a crowd. Just peel off a few layers of the outer husk, trim the silk and throw it on a medium-hot grill for 30 minutes or so. I like to serve it with a chili-lime butter for a fun twist on a summer classic. Make-ahead! Of course good food is important to the success of any party but really the point is to spend time with people you love. I try to get as much of the work done ahead of time so I can actually enjoy my guests during the party. 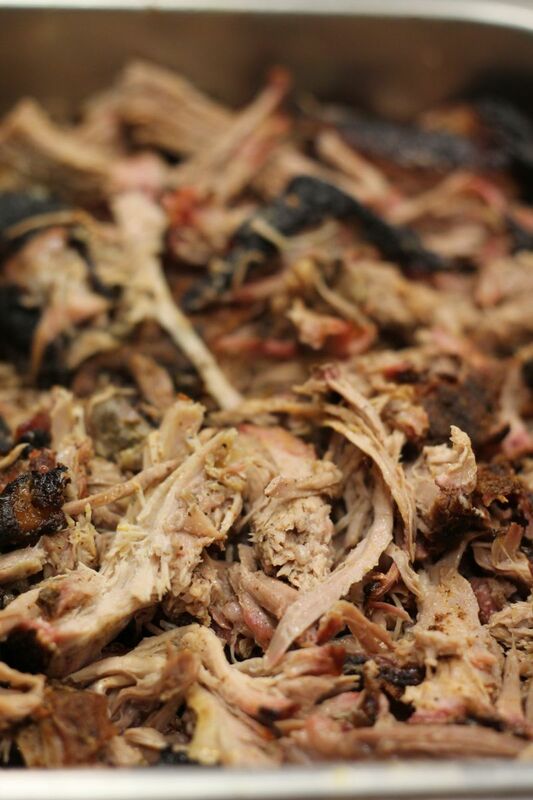 I smoke the pork shoulder before the party so when guests arrive all I have to do is shred it and set it out with some buns and bbq sauce. People can serve themselves and I’m not stuck slaving over a hot grill all night. Ask for help! I handle the main course and one or two side dishes but I ask guests to bring appetizers and dessert. People are happy to help and don’t want to show up empty handed so don’t be afraid to ask for a little help.